Form is just as important as function. 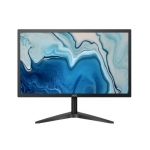 This 21.5" Full HD (1920 x 1080) resolution display features an ultra-slim design at just 10.6mm thin in terms of depth, a 1.5mm ultra narrow bezel, and 4.2mm narrow black border. Very efficient with space. Also features multimedia connectivity (HDMI and VGA), Low Blue Mode and Flicker-Free eye protection, i-Menu on screen OSD, and more. • High contrast ratio images look brighter, sharper, more detailed and vivid. • Most LED monitors use PWM (pulse width modulation) to control brightness; the pulsing creates flicker that may cause discomfort, headaches and eye strain, especially in low-light environments. Flicker Free technology uses a smooth DC (direct current) backlight system. 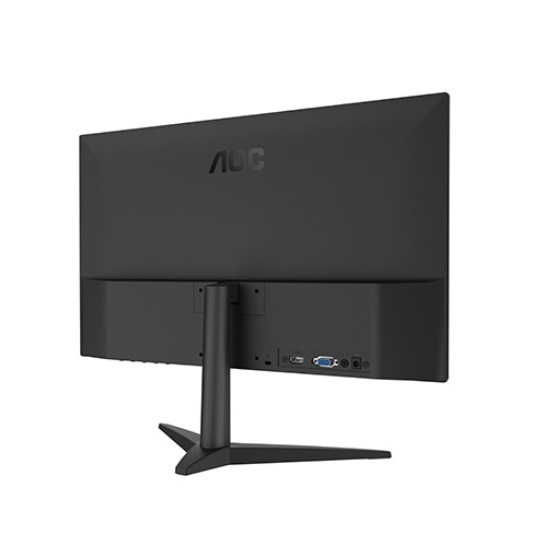 • AOC Low Blue Mode filters harmful short-wave blue light, with 4 levels that suit different viewing situations. • 1.5 mm ultra narrow bezel and 4.2 mm narrow black border. • HDMI (High-Definition Multimedia Interface) is the digital video and sound standard for connecting the latest consumer electronics like Blu-ray players and game consoles.